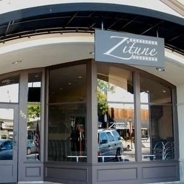 Replacing Jocco’s a couple of years back, Zitune serves some of the most exciting food on the Peninsula. Moroccan cuisine is like dancing. As practiced by your uncoordinated cousin Wally, it’s entirely forgettable but when someone like Mikhail Baryshnikov leaps across the stage, it’s transporting. Most domestic Moroccan restaurants follow a theme of somewhat gloppy food eaten in semi-darkness with the fingers while belly dancers shimmy past periodically. And then there’s Zitune.